The Brass Lantern Inn began as a modest farmhouse with separate carriage house and expansive farm. The original brick house and wood framed carriage house is ca. 1810. 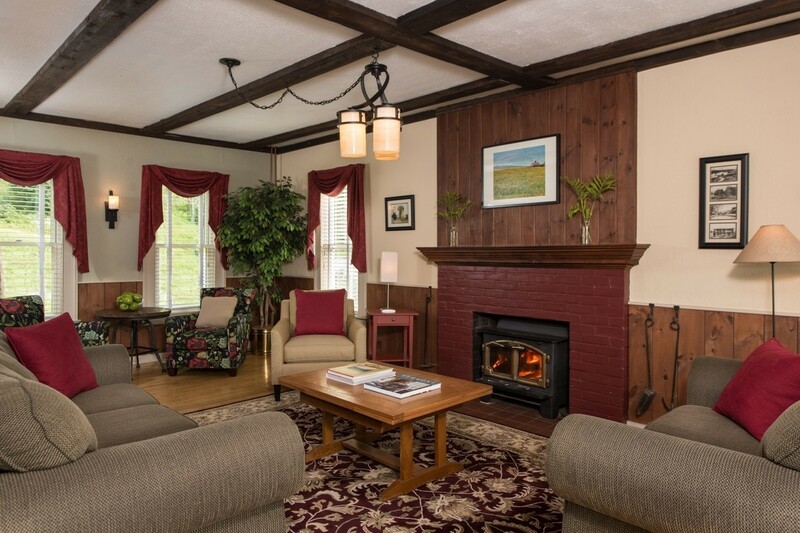 Our Inn has a total of nine distinctive guest rooms carefully set within the ca. 1835 brick farm house and timber beamed carriage house. 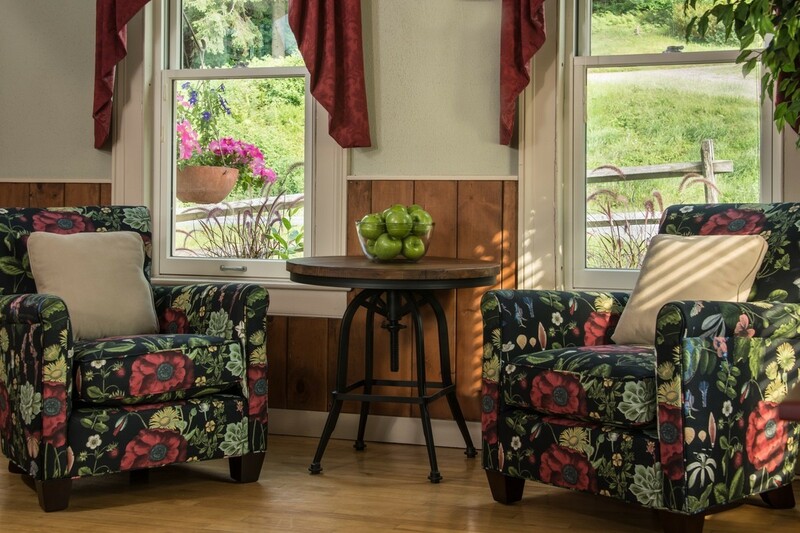 This number of guest rooms assures you that you will find a peaceful retreat in any of our four distinct seasons here in Vermont. We absolutely recognize the value of your time away. Let us take care of providing you with that level of escape. Our Inn, set on an acre and a half of outdoor space, with spectacular views of Mt. Mansfield is carefully managed to provide all of the creature comforts of today within the unique character of our historic brick farm house. Our common areas include living room with a crackling fire in the wood burning stove, a warm, bright breakfast room with individual tables, a game room where couples/families regularly gather around the table and play scrabble, battleship, chess, cards (you know, games that are truly socially interactive in nature!) with a guest pantry of a refrigerator to store your craft beers, a microwave and a K-cup coffee machine. Outdoors our guests enjoy having lunch or tea on the patio, taking a book out onto the back porch, or sliding into one of our many Adirondack chairs in that open back yard and watch the sun slip away behind Mt. Mansfield. Truly, we can’t think of a more wonderful way to conclude your day of adventure and exploration of Stowe, Vermont. 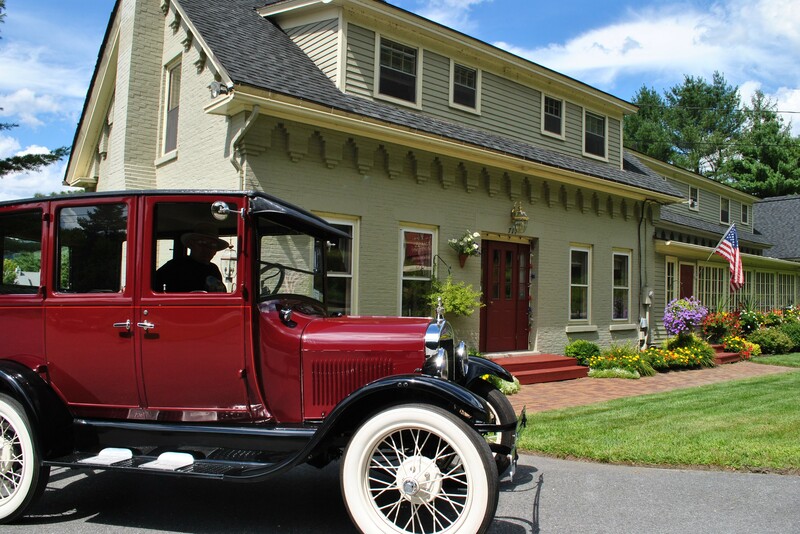 The Brass Lantern Inn began as a modest farmhouse with separate carriage house and expansive farm. 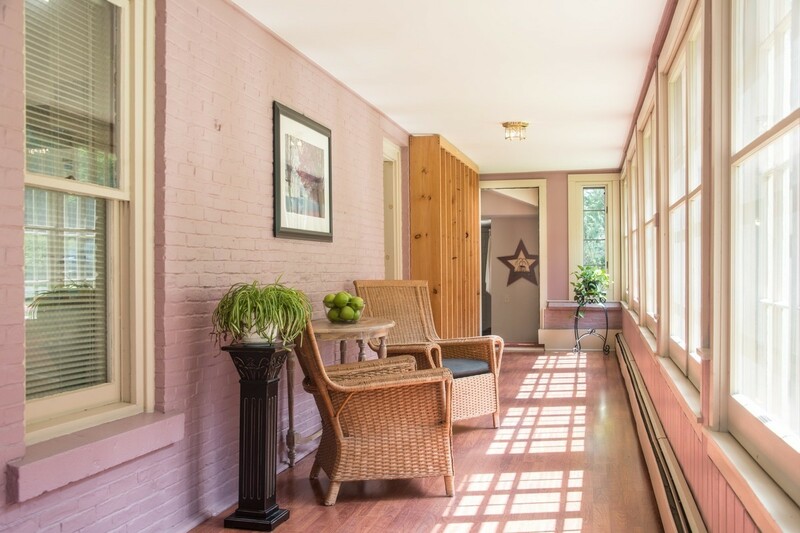 The original brick house and wood framed carriage house is ca. 1810. In the structure of today you will see reminders of the past; exposed mortise and tenon, wood columns and beams, wide plank pine floors, and unique brickwork. The expansive back yard provides a level of privacy and unique views of Mt. Mansfield. Over the years the house has been lovingly maintained and in 1988 restored and transformed into this amazing property known now as the Brass Lantern Inn. 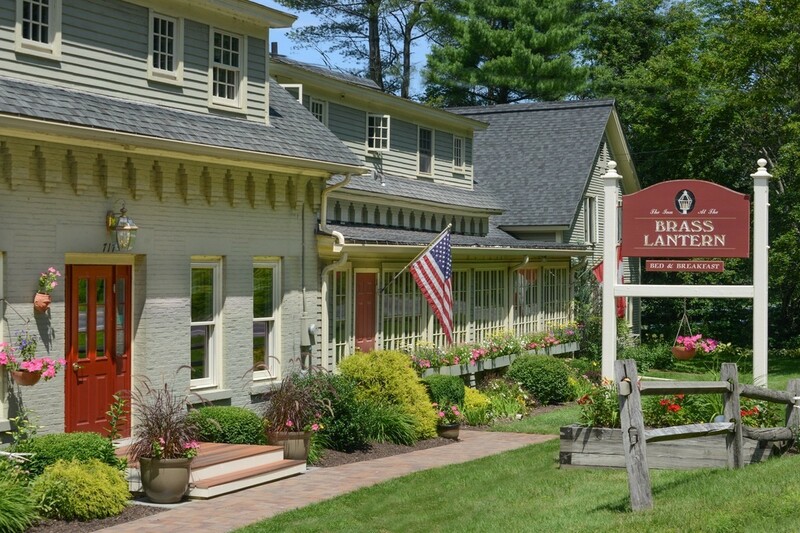 As only the third owners since that time, we are privileged to continue this tradition of quality lodging in the village of Stowe. 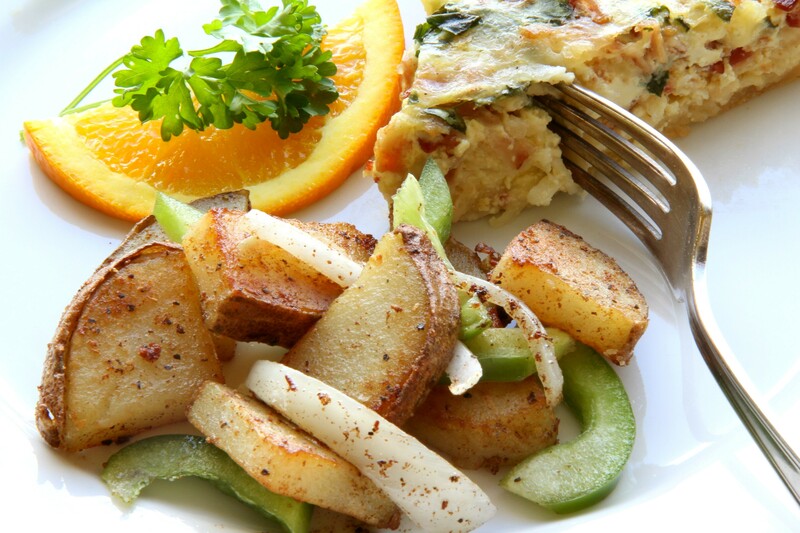 We provide a charming bed and breakfast which is surrounded by the ambiance of the expansive Vermont countryside. The Inn is brimming with original antique details yet is coupled with the comfort and amenities expected of today. 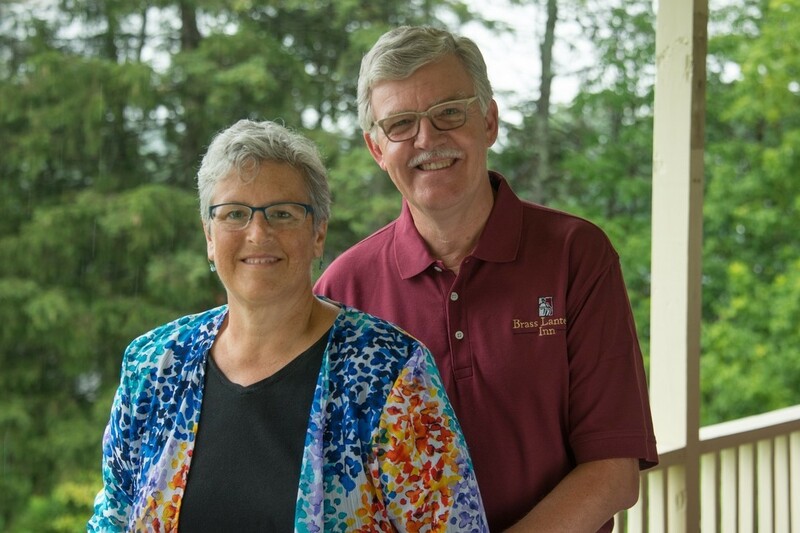 From that fateful adventure of meeting each other on a bicycle tour right here in Stowe, Vermont, we have found ourselves back here now truly "living the dream." Ok, the dream takes a bit, or a lot of work, depending on the day to keep alive and we feel so very fortunate to have returned to the starting point to now see Stowe again in a new view through the eyes of our guests. How cool is that?